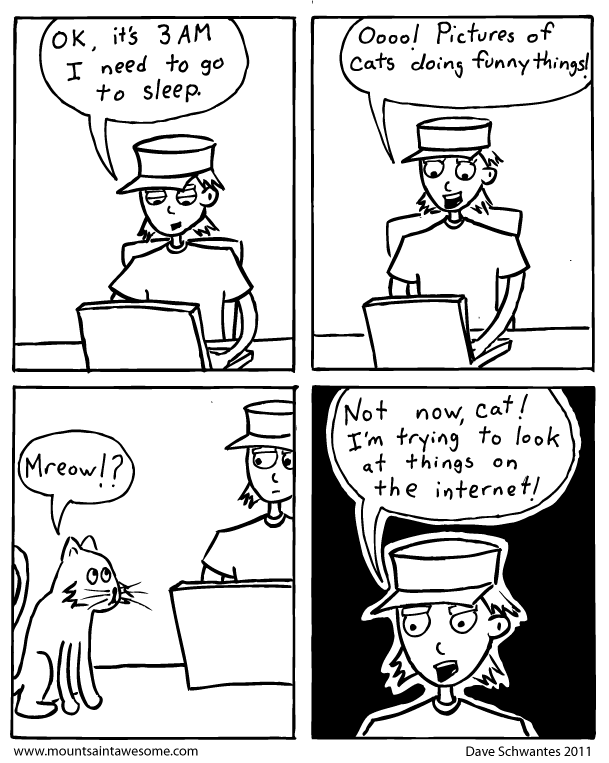 I drew this comic randomly just to test out a 4 panel layout (also I wanted to draw a cat again). It also has a bit more of the "fake-autobiographical" feel that I've been wanting to do more of lately. I originally posted it to my blog, but now it's here!